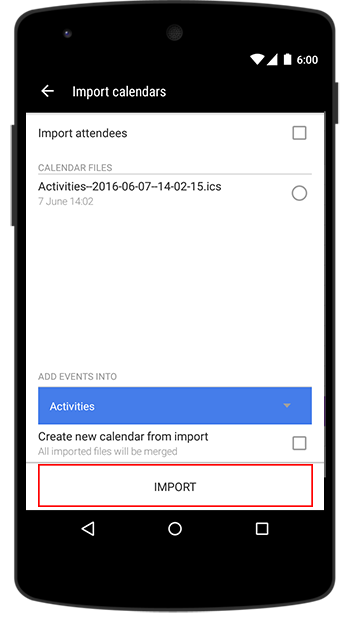 Business Calendar 2 can be used to import an external iCal-file into a specific calendar. Additionally you can export one calendar or multiple calendars at once into a single iCal-file. 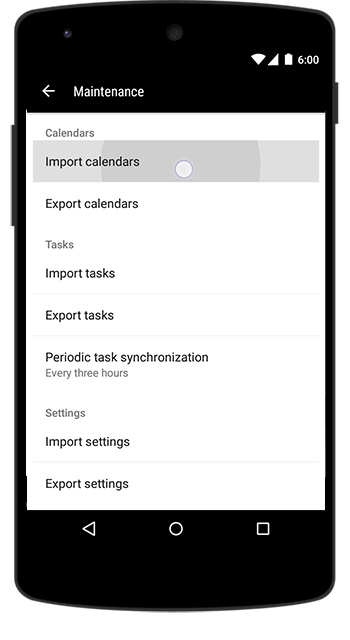 The import/export is important, if you want to create a local backup of your appointments, i.e. internally on your device or by sending it to your computer. 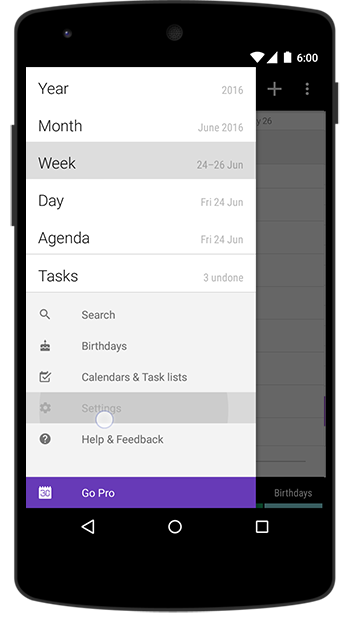 Hint: If you have multiple calendars and want to keep them separate, please remember to export them one by one. Otherwise they will be merged into one file i.e. one calendar. 4. 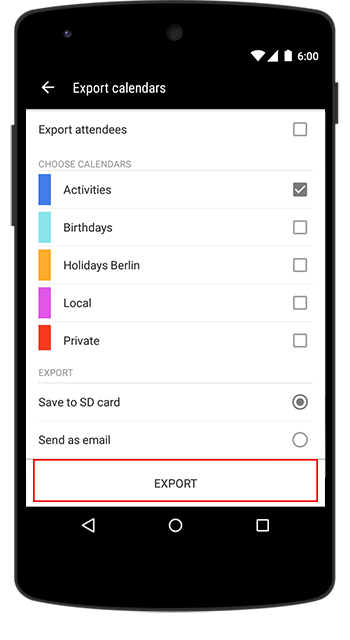 Here you can set the properties for your calendar export, i.e. one or multiple calendar(s), including attendees, storing the iCal-file to the device memory or sending it via mail. Complete the process by tapping → Export at the bottom of the screen. 6. Business Calendar 2 scans important and accessible places on internal storage for iCal-files. Import the chosen file by tapping the Import-button at the bottom of the page. 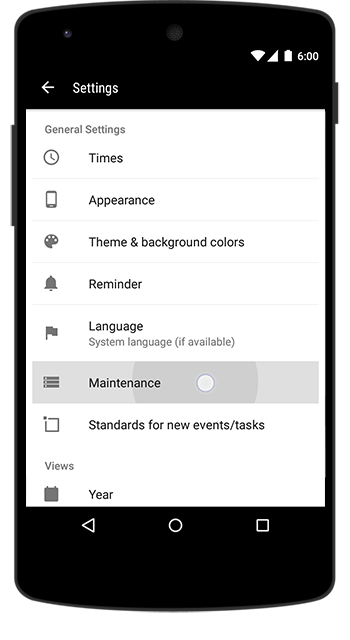 Hint: If no existing calendar fits your iCal-file well, you can also create a new local one by setting a checkmark behind → Create new calendar from import.